All of these options will give you a painfull back or you need to return to locations where you would not return without the luggage. Therefore we can offer you the Deluxe Luggage Service. We make sure that your luggage is picked up from hotel and dropped off at Schiphol Airport. So the only thing you have to do is to enjoy your last day in Amsterdam or go without worries to that last meeting you have. Your Luggage will be safely transported to Schiphol Amsterdam Airport. On Schiphol it will be stored in the official baggage storage depot. You can pick it up here before you check in for your flight. The baggage depot is easily accessible from the departure halls. Print out the luggage label we have provided and attach one to every of your suitcases or bags. 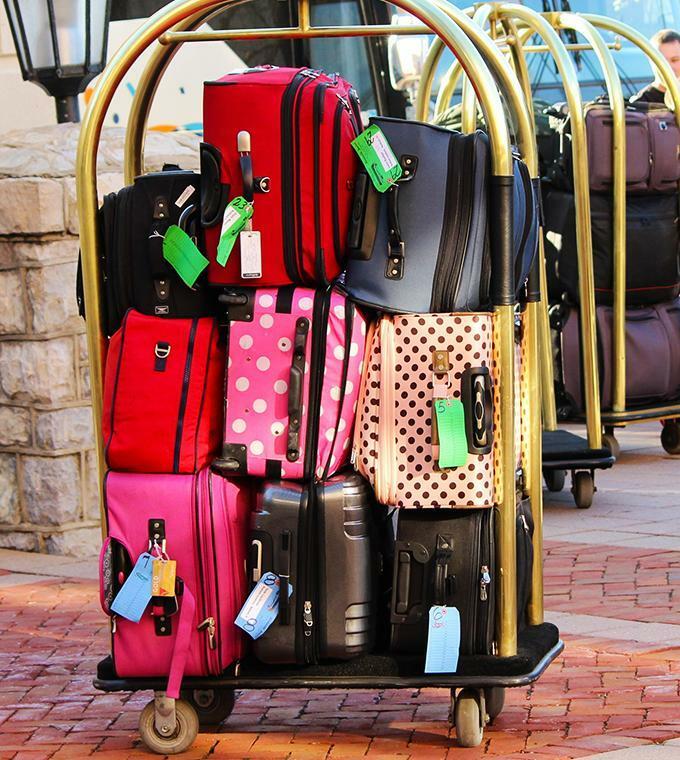 Checkout at your hotel and leave your luggage with the concierge or reception. Make sure that you notify them about the usage of our service. Enjoy your last day in the city, luggage free. From wherever you are, go straight to the airport and pick up your luggage at the bagage depot between departures hall 1 and 2. You will get a precise map on your voucher. Why should I book it online? Our driver will come and pick up your luggage. Therefore we need to have a reservation in advance to be able to know which hotel to go to and at what time. Next to that, you will also make sure the service is available. 1) What is your flight number and departure time? 2) Which hotel are you staying? 3) What is your phone number? We will send you a confirmation email and the voucher where you can find a map with where you can find the luggage depot at Schiphol, our contact details (available 24/7) and more relevant information you should know. Make the most out of your last day by being able to enjoy Amsterdam directly after checkout.